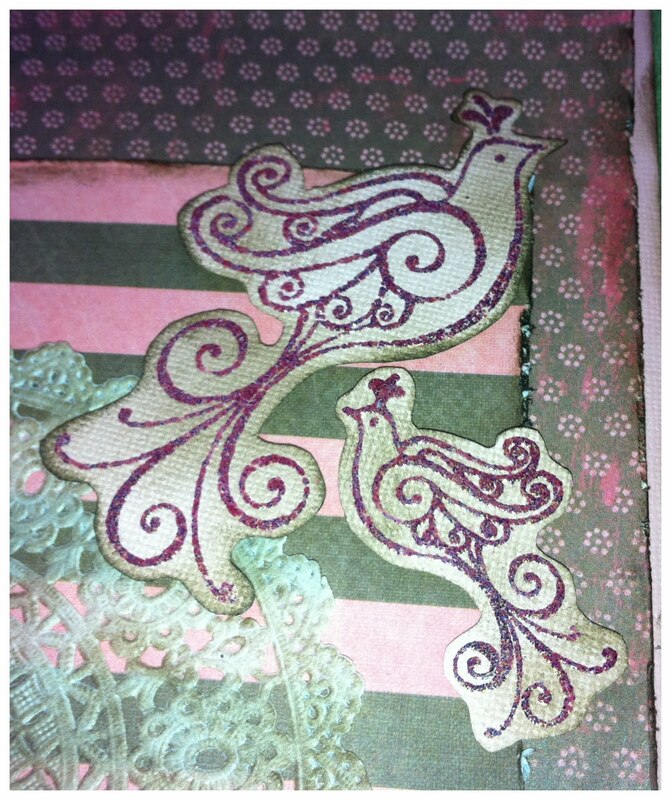 Papes I have used are from MME and Imaginisce (both are backsides if I remember it correctly). 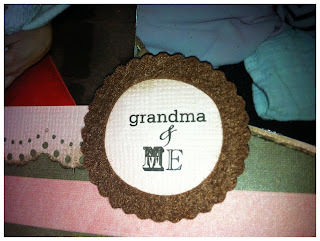 I have also used a small paper doily in the background. 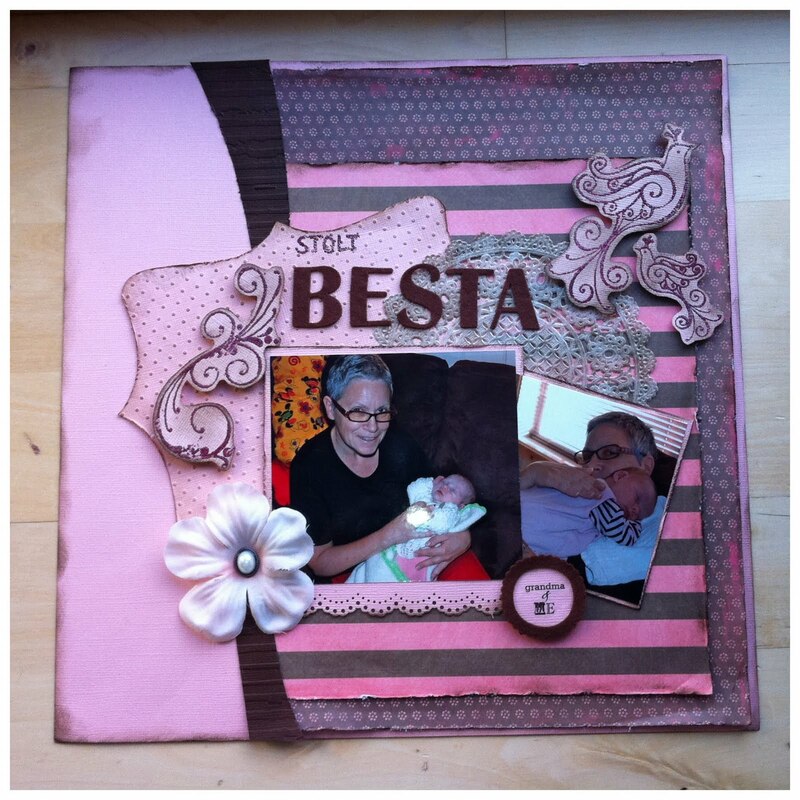 On this layout I have been inspired by my teammate Leah and have used embossing a lot, both dry embossing and heat embossing. 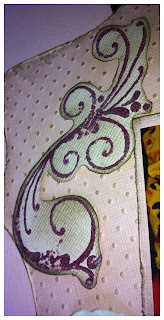 Have not used my heat gun in years, but right now I am loving it and need to buy more embossing powder. 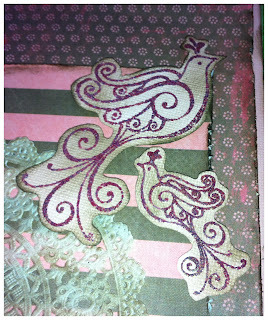 The bird stamp from Inque Boutique are heat embossed with a dark red powder, so is the swirl from the same collection from Inque Boutique. In the background you can see that I have used my Cuttlebug and the swiss dot folder, and afterwards inked it with distress inks. Title are brown felt letters. Have also used a small felt frame around the text here that is a rub on. Not much more to tell you about this. Hope you will join in on our challenge. Remember, there is a prize up this month. Also hope you have checked out my tutorial last week - coloring with ditress ink. Hi Stine!! Love your layout!! 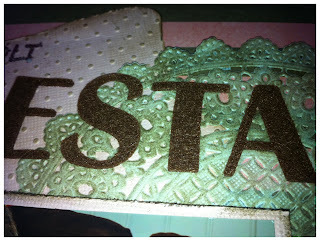 Great job with the embossing.. and I love the papers!!! Have a wonderful weekend!! Hugs!!! 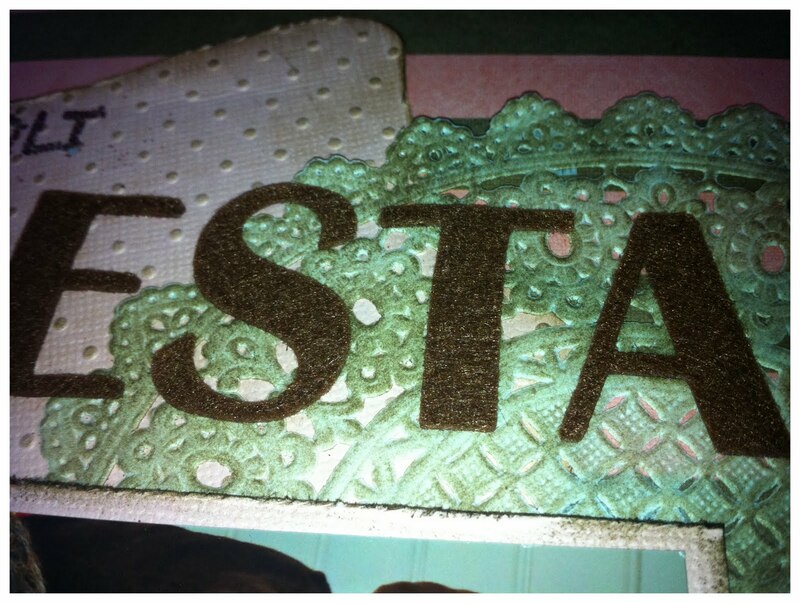 love all the embossing here, Stine! Gorgeous layout! Great layout, love the embossing! What a wonderful page! Awesome job on the embossing! Always fun to add a little something special to our layout! Gratulerer med vel overstått nasjonaldag!